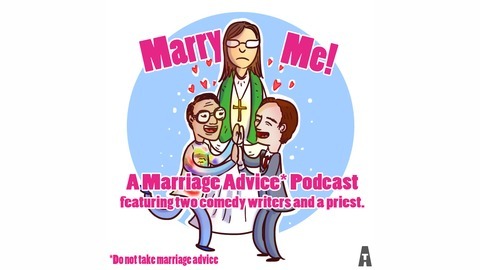 For years the world has wondered, what would happen if two unmarried comedy writers teamed with a happily married priest to answer questions regarding married life? And now the world has its answer. It all started in 2012 when Cullen and Kevin met Susan, the staff chaplain at an Episcopal Summer Camp where the two worked, the infatuation was instant. By 2013 it had evolved to recurring desperation as the two would proclaim “Marry Me!” after every interaction with Susan despite the fact that she was married, residing with her husband on the same mountain. By the end of the summer this had evolved into a podcast-the three would team up to dish out advice with regards to marital life. 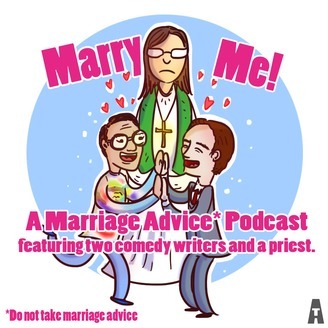 Are you Married, Soon-to-be married, or generally anxious about the concept of marriage? Then we want to hear from you. Send your questions in to: Marryme.annual@gmail.com.